Uh-oh. Call a priest. Shake out the bad juju. Good eye Max. I like you. Pick a number. C'mon, that's like $2.7 billion Canadian! Two packs of smokes and a new tuque! Eh! Awesome Karma. Please count me in for 36. WHOA! An American that actually called it what it is....BACK BACON! You sir are now an honourary Canadian! 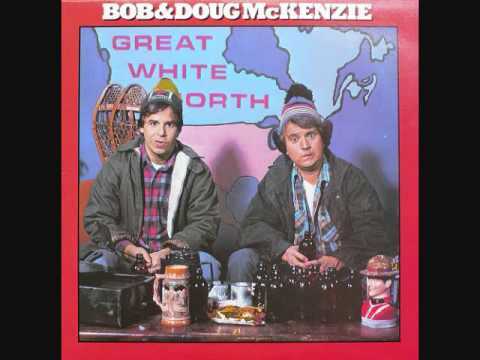 Come collect your Molsons, and a few pounds of back bacon. Kudos to you Russ. You are truly one of a kind. Kudos to you Russ. You are one of a kind. Thank you sir! Tip o the hat. WHOA! An American that actually called it what it is....BACK BACON! You sir are now an honourary Canadian! Why would you go and insult him like that? Keep it up boys and squirrels! Can my dog pick a number ? She has her eye on a 5 ft. tall squeaky toy. Squeaky toy..more like screechy toy at times. Don't forget the maple syrup! Great karma. In with 105. With pleasure! How goes it? Long time no hear. Pigglebook jumps in the fray with 105 to stay alive. You're my favorite bozo, Bob. #9 is spoken for so #8 is great. Shake it up and see your future! I'm in with 69 -- my age! If I win, please contribute to Wounded Warrior Project. Hey brother! You know, same old same old. Bought a house up here in VA in 2013 and have been playing the house broke game ever since. Adopted a mastiff about a year ago, in what turned out to be my best move in many years. She's frickin awesome man. Other than that, just working and playing a decent amount of hockey these days. Where are you at in Florida? I get down there maybe once a year for work, and would love to come have a beer and hang out when I'm down there next, if you're in the same zip. I might even tinkle on your bushes if you provide enough brewskies. Trying to buy a friend or two eh punkin? In with #99 if it isnt taken, and if Im lucky enough, make it payable to the Githens center. Good to see ya around old man! Once again we meet at last. Pick again moosehead! Pay attention. WWP it is!